Happy Friday! 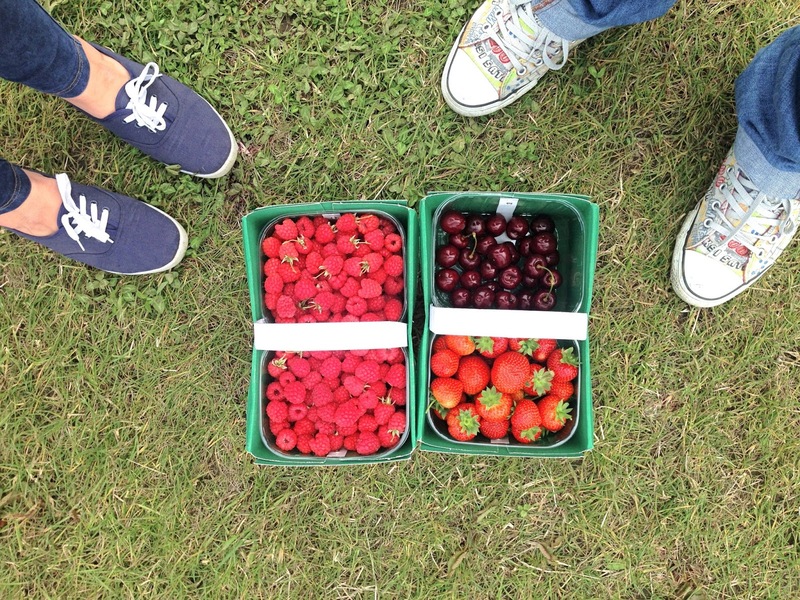 It doesn't feel like a Friday if I'm being honest, we spent yesterday berry picking -(look at that haul!!) so I've been in weekend mode since yesterday. Then today I've mostly spent cooking -one of the things will definitely make an appearance here soon I'm sure. Tomorrow I'm definitely looking forward to a lazy morning and a late breakfast in bed...I'm thinking something with bacon? 1. I had to catch a bus into town earlier this week and I had the happiest bus driver I've ever met. So nice and chatty...it really made my afternoon that bit brighter. 3. Helping my best friend clear out her wardrobe and make some space. We seem to love doing these things together, and it's always much more fun with a friend. 5. Being woken up at dawn by a crazy little dog leaping around on the bed may not seem like a good thing but...it did mean I got to watch the sun rise and it was beautiful! I haven't done that in years. 6. I've had Christmas song's playing this week -too early? ?